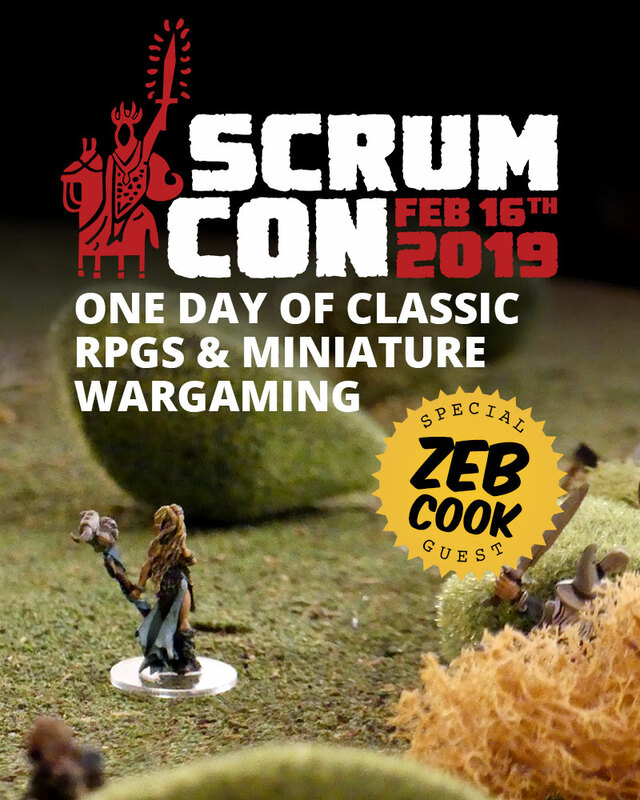 Our Guest of Honor is David “Zeb” Cook, of longstanding TSR fame, and you can both meet and play with Zeb in a specially written sequel to a classic D&D module he wrote for TSR back in its heyday. We plan on serving food, which will be simple fare, but affordable (and there will be vegetarian options). Going in to this convention it was assumed that the participating organizers (roughly five guys) would all put on events for the day, and volunteer to run the con when not running a game. Okay, I can handle that. Southern Cross is similar to the game I ran at Fall IN 2018, but the track will be somewhat reconfigured to facilitate more interaction between vehicles sooner. 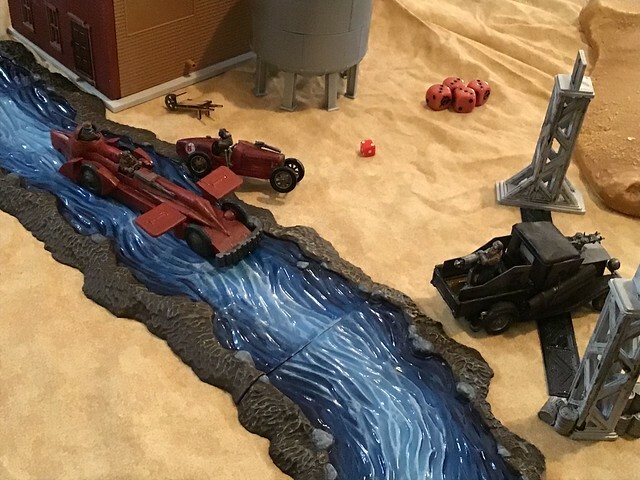 Description: A decidedly not-turbo-charged game of car combat set after the apocalypse..no, not *that* one, the *other* one set back after World War One. Remember that? Gamers run races with up-armored motorcycles, buggies, jalopies, and junkers equipped with the finest early 1930s technology! Ford Model Ts, Hispano-Souzas, Fiats, and Packards take to the field firing cutting edge Lewis and Maxim guns. Feel the thunder! I have space for ten players, and 3 are already signed up! Spaces are going fast. I hope to see you there! Try some classic RPGs such as D&D and Call of Cthulhu or grab some tiny metal men for miniatures wargaming mayhem. Two gaming sessions (10:00-2:00 and 3:30-7:30). Stick with either RPGs or wargames for both sessions, or mix it up with one of each. Enjoy a selection of complimentary continental breakfast favorites or lunchtime fare for a modest fee. Bring your gaming items ready to be re-homed for our flea market table. All of this for just $8 a ticket! Add a Gamers Lunch (two hot dogs, chips, drink and cookie) for just $4 more! Feelin’ like a V.I.P.? Get the Gamer’s Lunch PLUS a ScrumCon convention tee and admission for $32! By Grabthar’s Hammer, what a savings! Space is limited, purchase a badge now and sign up for your morning and afternoon games. Cleo: I’ve been advised I didn’t make this prominent enough, sorry! DETAILS: Feb 16th 2019, Davis Hall, 9217 51st Ave, College Park, MD 20740, USA. AM and PM Sessions. Registration link is now in the green section at the top of the post. I have a map link further down but I guess I didn’t emphasize that either.